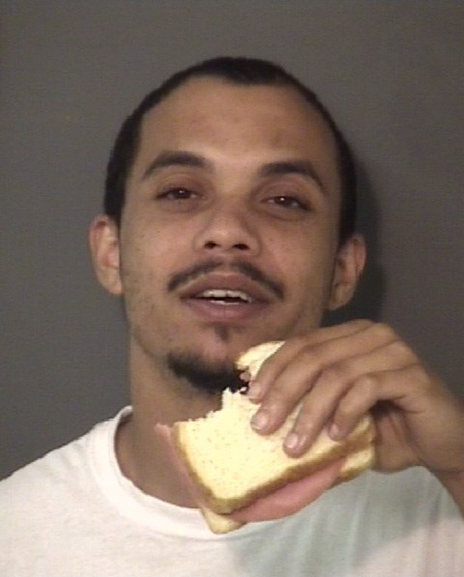 A North Carolina inmate this week was enjoying a bologna sandwich when he took a moment to pose for a new mug shot. 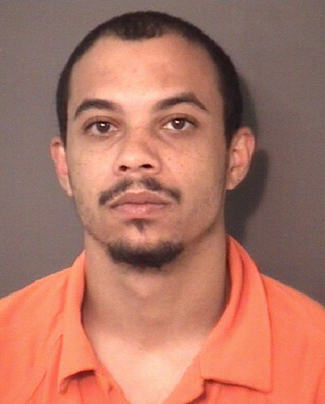 Justin Richardson, 25, was arrested Saturday on two probation violation charges and booked into the Union County jail. He is being held in lieu of $4000 bond, according to jail records. As seen above, when Richardson’s booking photo was snapped, he made sure to hold his meal up for the camera (the pictured bologna on white bread is just another reason to live a law-abiding life). Richardson, whose rap sheet includes busts for marijuana possession, assault, criminal contempt, and breaking and entering, subsequently was a photographed in an orange prison jumpsuit, a more uniform image.